This article was originally published in the Deseret News on July 26th, 2017. Brigham Young was born to John and Nabby Young at Whitingham, Vermont, in 1801. At about age 16, Brigham was told by his father that he was old enough to go out on his own and provide for himself. His mother had just passed away. His father, John Young, later moved to the area of Mendon, New York. Eventually, Brigham and his ailing wife, Miriam, also moved to Mendon on the back part of his father’s property. They were all practicing members of the Reformed Methodist Church. 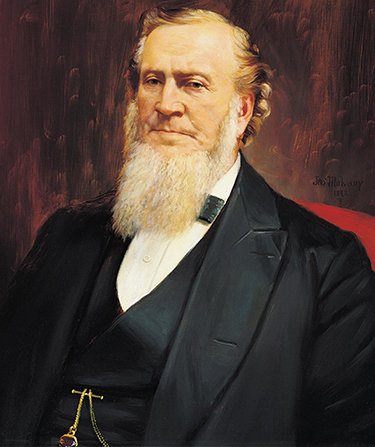 In 1832, Brigham, Miriam, John and all of Brigham’s immediate family joined the Church of Christ, later The Church of Jesus Christ of Latter-day Saints. All stayed active in the LDS Church throughout their lives. They are owned by the LDS Church, but they are used as private residences. Kenneth Mays is a board member of the Mormon Historic Sites Foundation and a retired instructor in the LDS Church’s Department of Seminaries and Institutes.